Update: The HealthPatch is no longer available to consumers. We are disappointed by this news, but are continuing to search for consumer patch partners. This article has been edited to exclude the old HealthPatch metrics. Low Frequency (LF) – The low frequency metric shows the real-time power level of your sympathetic (fight or flight) nervous system in raw form. High Frequency (LF) – The high frequency metric shows the real-time power level of your parasympathetic (rest and recover) nervous system in raw form. LF/HF – Stress is associated with a high LF with respect to HF, or a high LF/HF ratio. By selecting the settings wheel in the top right corner, you can choose your “Stress Sensitivity Level”. TIP: If you find that your stress level is always in the blue or the red, then you most likely need to change your “Stress Sensitivity Level”. If you are always in the blue, this means you need to base your stress level on a smaller ratio (high sensitivity level). Challenge yourself by moving up a level or two. 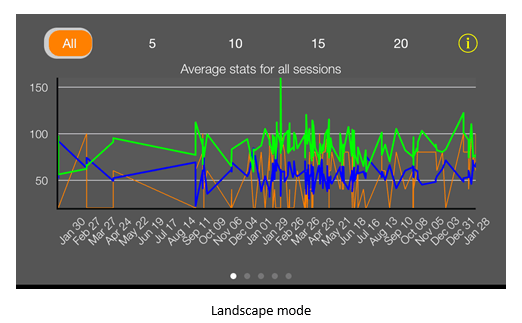 If you are in the red, then you might need a higher ratio (lower sensitivity level). A good indication that your stress management techniques have worked is when you need to change your sensitivity level to a higher sensitivity level. Root Mean Square of Successive Differences (rMSSD) – In other words, the square root of the mean of the sum of the squares of the successive differences between adjacent RR Intervals. I swear that’s in English. I suggest checking out our library and reading our HRV Measurements slides (slide 15) to thoroughly understand the different domains. The important thing to remember is thatrMSSD is a time domain standard and is just one of the several parameters that measure heart rate variability. Heart Rate Variability (HRV) – HRV is the variation in the time interval between one heartbeat and the next. If only it were that simple; read our HRV backgrounder to learn more. 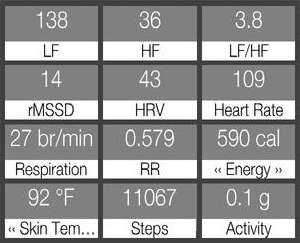 In SweetBeatLife, HRV is a real-time scaled version (between 1-100) of rMSSD and represents the state of the autonomic nervous system and its ability to respond/react and recover from internal and external stressors. These stressors include orthostatic (standing and sitting), environmental and psychological. 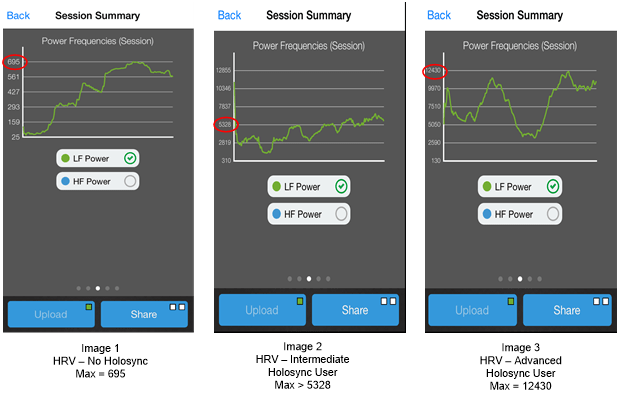 TIP: The HRV for Training function of SweetBeatLife uses a special algorithm to customize your reference line and manage your training. Heart Rate – Heart rate is the speed of the heartbeat, more specifically in this case, it is a real-time measure of your beats per minute. *Respiration – Breathing correctly is an important factor in stress management and HRV for training. 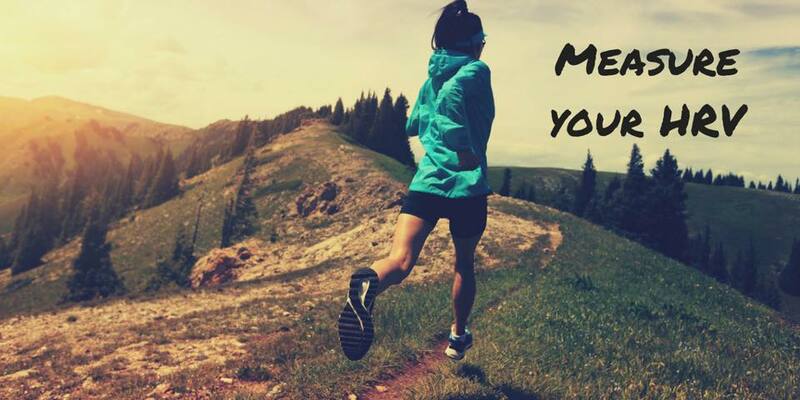 This is why we include a breath pacer. There are many different theories on which kind of breathing is best for your health. 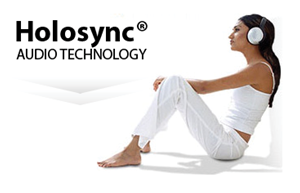 We use a specific pace meant to balance your nervous system. TIP: The breath pacer featured on the relax screen within SweetBeatLife is proven to help balance the autonomic nervous system. RR – On an EKG the heart rate is measured using the R wave to R wave interval (RR Interval). 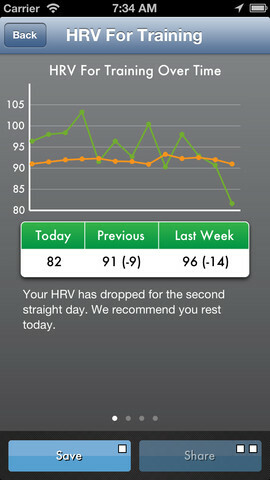 The RR metric is shown in real-time and quite necessary for the measurement of HRV. TIP: Only heart rate monitors that are Bluetooth low energy (BTLE) and record RR Intervals can be used with SweetBeatLife for accuracy purposes. Pulse oximeters (watches, finger sensors, etc.) 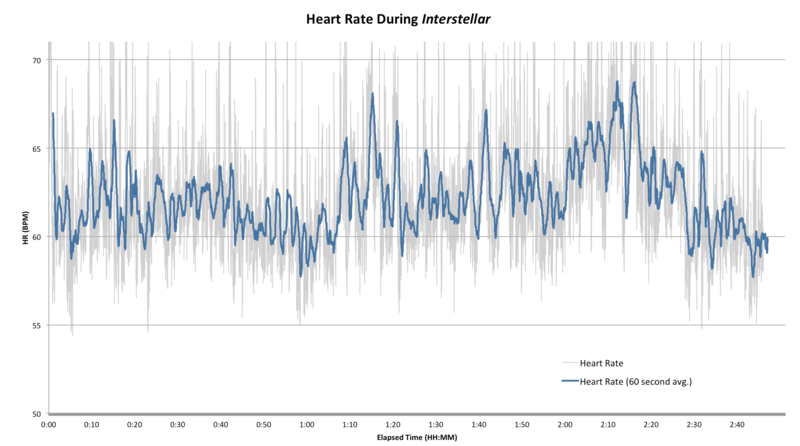 measure heart rate by pulse detection, which is not accurate enough for HRV. Please visit our compatibility chart for help and visit our health sensors page to purchase one. *Steps – Another metric that may be familiar to you if you have ever used a fitness tracker. Your steps can be imported and tracker through your other wearables: Fitbit & Withings. 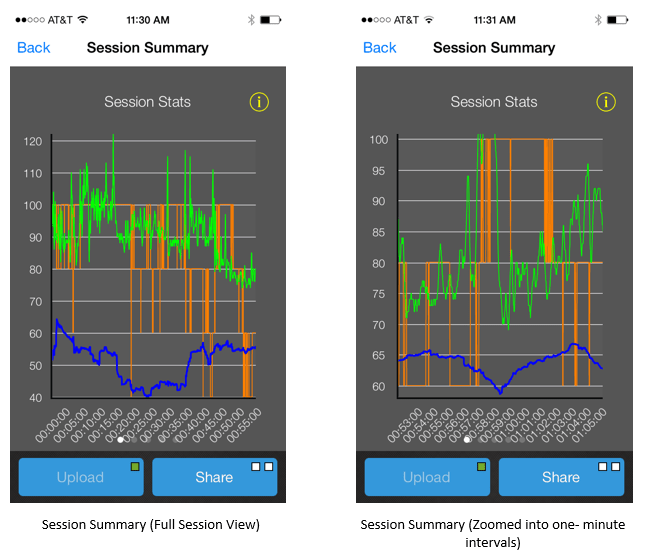 This entry was posted in Balance Your Nervous System, Heart Rate Variability, HRV Training, Look for Patterns in your Life, Stress, Uncategorized and tagged autonomic nervous system, biofeedback, fitness, health, health metrics, HRV, HRV for training, mhealth, SweetBeatLife on May 15, 2014 by sweetwaterhrv.